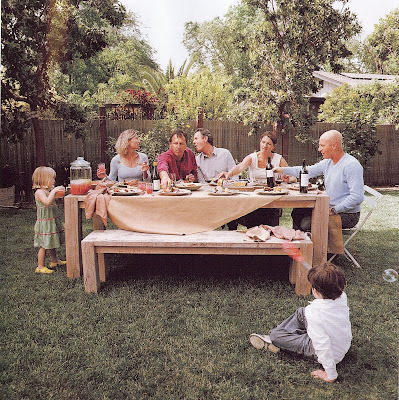 Included in the issue was a dinner made and enjoyed by Thomas Keller and Joel Gott. I had to save this image of the meal because it is so perfectly inviting and I want to join them right this minute. The table and bench are lovely, the sloppy drape of the tablecloth is delightful, the lemonade jar is perfect for kids, and the entire scene is just so warm and friendly. 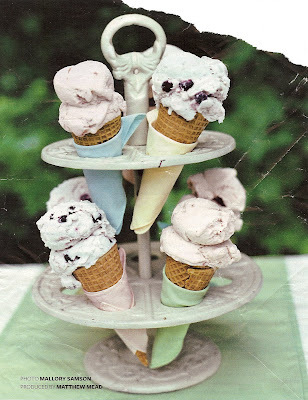 My friend and I were discussing an upcoming ice cream-themed birthday party and it reminded of this cast-iron ice cream holder. 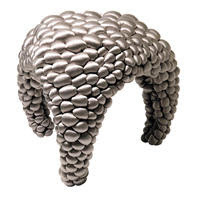 I haven't taken the time to look for one, but it would be fun item to get my hands on. 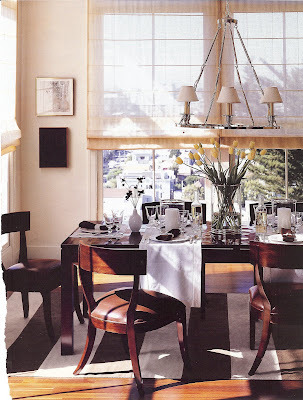 Aren't these Roman Shades lovely? I like that they are so sheer in the light. We have casually discussed moving to Oregon someday, and while I don't need an amazing umbrella now, I could then. 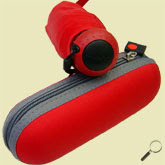 The X1 by Knirps folds to the size of an eyeglass case and can withstand winds up to 88 km/h. It also weighs less than a pound. Kind of cool if you used it all the time. The Crush Extended Chaise. 58 beautiful inches of width. 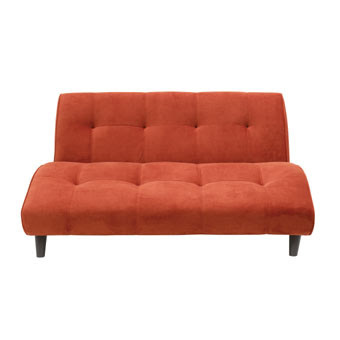 We own EQ3's Crush Chaise and it is one of our most used pieces of furniture. It is the perfect height for our little reading nook and the kids love to pile on it with me. Unfortunately our bums aren't getting any smaller and it is starting to be a very tight squeeze to get all three of us on. Over two feet of additional space with the new extended version would be incredibly helpful! Even hubby would fit. Lee's Loveseat Chaise is appealing too. My baby playing airplane with her aunt. 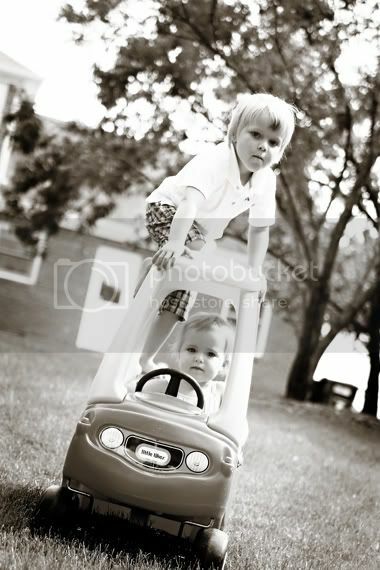 I love how much joy kids get out of the simplest things. Reuse pretty glass bottles for drinks. I find myself more and more attracted to textured walls. These walls feel so rich. 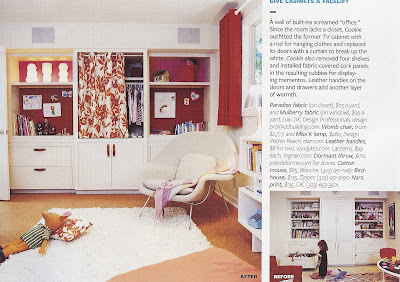 This month's Cookie Magazine had a great before and after bedroom article. 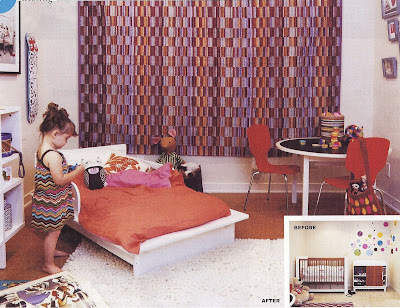 I really like what they did to this little girl's room, especially turning the graphic Missoni rug into a tapestry. It adds so much in one simple and potentially affordable move. The room makes me want to replace my kid's room's carpet with cork. Carpet is probably my least favorite flooring. 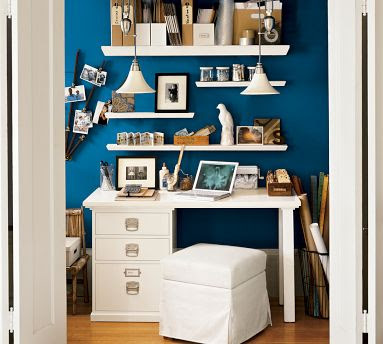 I like lots of shelf space, but this is a great way to jazz things up a bit if the space is not needed. 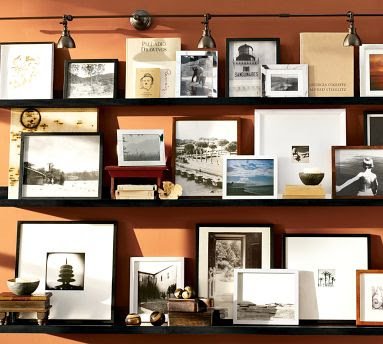 I still need to get started on my picture wall, and like this idea of combining art along with personal photographs. 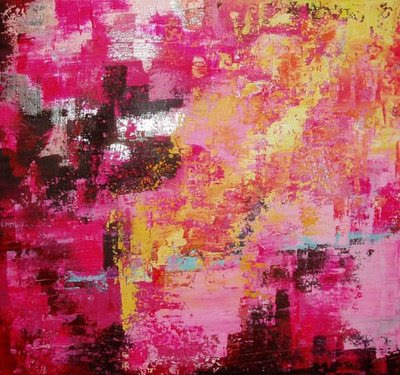 I think I'll stick with just photos for the main living area, but combining art would be really cute in a different room or bedroom. Oh how I would love wearing this Versace coat when the weather cools! 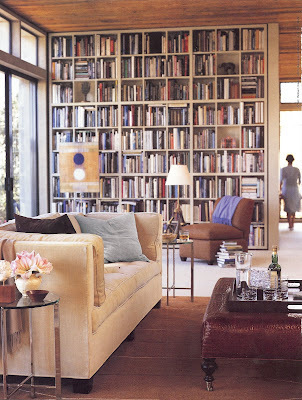 I've always wanted floor to ceiling bookshelves, particularly cubed shelving. This room does both so well. I am finally feeling the need to add the details we need to make this house more of a home. We've only been here a year and a half . . . I might add a few art ledges to a couple spots in the house. 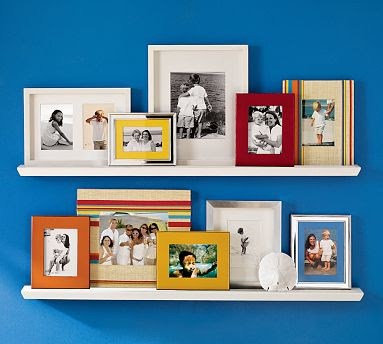 They are great for display and organization, but can be contained so a room still looks clean and not cluttered. Exam what is said, not him who speaks. 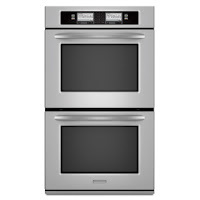 KitchenAid has an Oven with Steam-Assist Technology. I don't attempt artisan breads on a regular basis, but knowing that I wouldn't have to keep spraying the sides of my oven and refreshing pans of hot water would make me happy. I read about QuickSeals awhile back and just need to remember to try them out. I don't like dumping everything into yet another Ziploc bag, so these look very helpful. We have been struggling to figure out how to paint our son's room. Originally we chose a green similar to the one used in his room in our last house, but it just didn't look right. I decided I was done with the previously loved look and want to do something new. 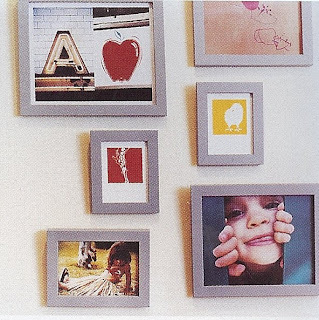 Using blocks of paint as shown in this month's Cookie Magazine could look fantastic. I am toying with alternating one green and one blue, or just using different shades of blue or green with a white or colored background. 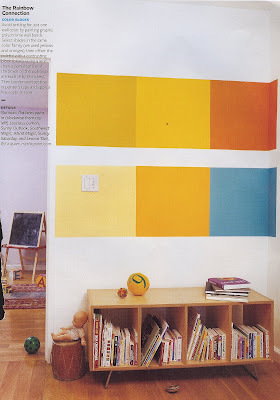 Even if we don't wind up doing this now, I think that the brighter colors with a white background are perfect for spicing up a playroom. 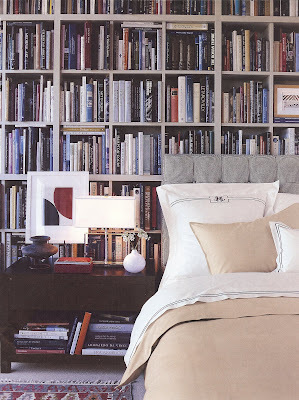 I'd also like to get a low bookshelf like this. I just need to find one. 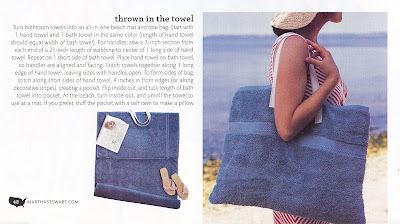 This might be the most useful beach idea ever. I hate carrying loads of sandy stuff just to lay in the sand and read a book. Throw in a water bottle and some sunscreen and you're set! I was down in my basement last week and stumbled upon my boxes of saved magazines. Boxes, as in more than one. Fortunately I had recently limited my magazine saving to home design+decor, Martha Stewart publications and food magazines (kept in a kitchen cupboard), but the amount I have is still ridiculous. We are talking easily over 100 pounds worth just collecting dust. I've been hemming and hawing over whether or not there is any point in keeping them. Sure, there are scads of great ideas in there, but am I ever going to take the time to look through them? If the opportunity arises to design my dream house am I immediately going to sit down and spend three weeks pouring through years of magazines? Probably not. I have finally concluded that since I have this great spot to save things, I will slowly go through these old mags and scan any must-keep ideas here. Then I will recycle my stacks of eye candy. Will I regret it? Maybe. But most likely not. My point in posting this here is to ask if anyone out there can give me any reason to hold onto these old publications. Will I wish I had held onto these someday? Feel free to tell me to just toss and be done with it too. It will help motivate me. 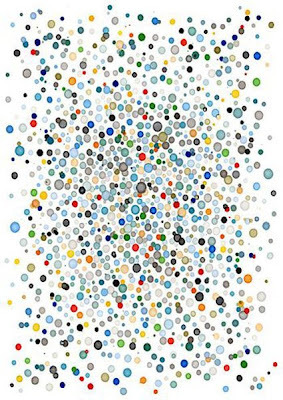 This was created by repeatedly balancing a sheet of paper on the nibs of a set of Pantone pens. There are so many neat things you can do if you just let your mind wander for a minute or two. Note to self: Let mind wander more often . 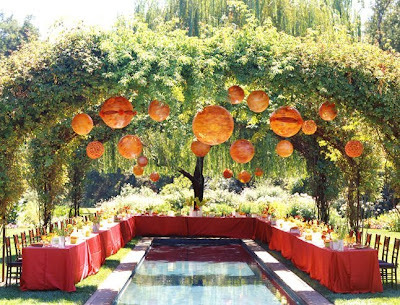 . .
Orange seems to be popping up everywhere, and this outdoor set-up makes me so glad it is. The art is my favorite part of this room, although that was a tough decision! Having the artistically inclined daughter that I do makes me want to put a chalkboard/wall in our kitchen to use as a creative corner. This dining area does it even better than I could have imagined. 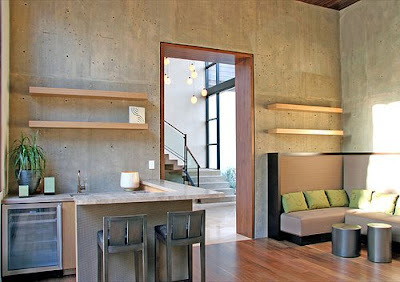 It is nice to see kid-friendly homes that look amazing. I love the lighting too. Actually, I love it all. 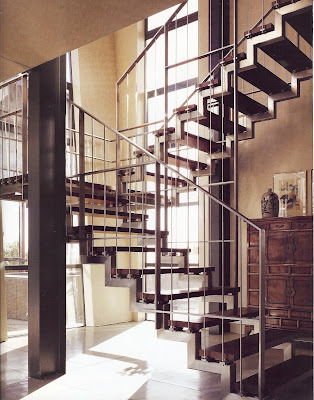 I think I shall never be satisfied with a boring old staircase ever again. These two have been nicknamed Bonnie and Clyde. It fits. 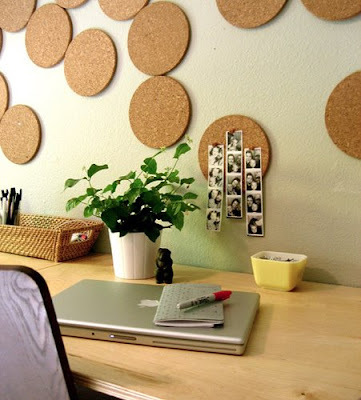 Using these cork trivets to decorate an office wall would work perfectly for me. I have all sorts of odds and ends and scraps that wind up on a pile on my desk that would be much better off pinned to their own circle. I might actually get around to doing what I want with those scraps this way and it would keep things separated and organized. That is the best - To laugh with someone because you think the same things are funny. I immediately thought of my Dad after reading this. We seem to get the world in similar ways. At least some parts of it. My husband's family spends a week or two each year at a ski resort, and the walls look similar to this. 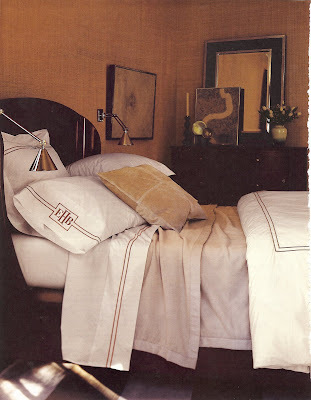 Hubby is a bit biased to this look - I'm not so sure I would ever use it in a home, but I do think it can look good. 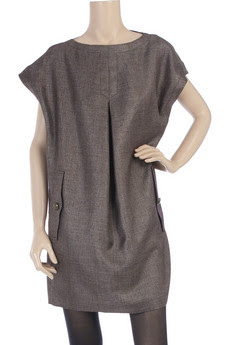 This dress is so me . . . 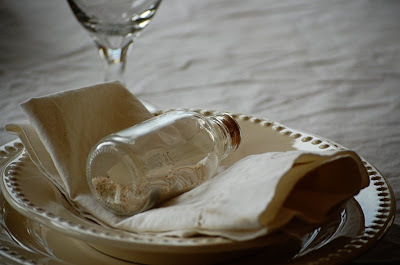 This message-in-a-bottle place setting is so classy and so fun. 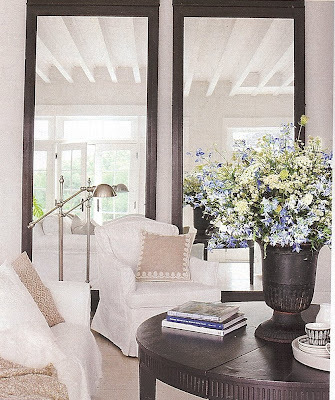 I love what large mirrors do to open up a room, but never thought about doubling up. 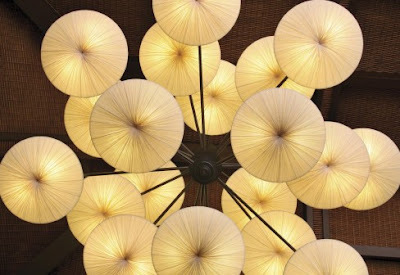 My light search has been successful in that I am finding lighting that I love, but also unsuccessful because I'm not finding lighting that will actually work where I need it (or that I could afford . . . sigh. . . ). 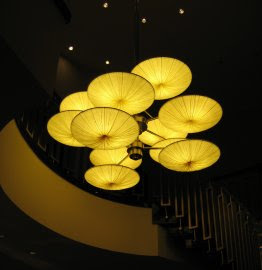 The Sunsa Mobile by Aqua Creations is one such light. 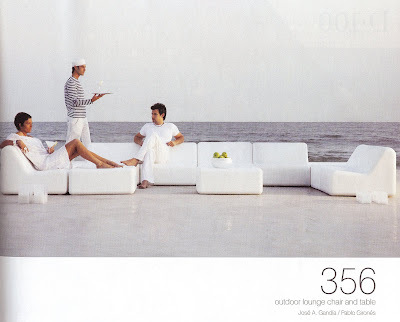 This ad got me excited about Gandia Blasco's 356 collection. Another view from the garden that helped inspire our front yard landscaping plans. 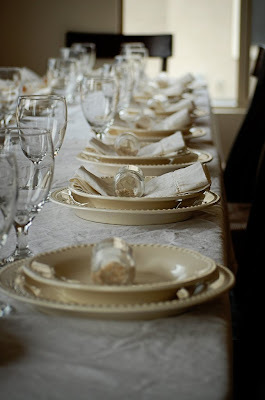 This wider view offers a more formal look than what we have planned, but I still love it. It really fits our home's exterior. *Could fall asleep sitting up right now, so my apologies if my thoughts are a bit muddled. This just hit me kind of hard so I wanted to remember it. I was just outside watering my plants (yes, it is 10:30, don't ask!) and the same thought/situation ran through my head that has ran through my head almost every time I have hand watered a plant since I was 4 years old. I water the roots, but I also like to spray the leaves. This goes back to when I was a child living in Texas and my Mom asked me to water the shrubs, and my little 4-year old brain assumed that watering the plants/giving them a drink was like showering - I figured the plants wanted their leaves to get wet; I didn't even consider that the dirt below was what needed the water. I eventually figured out that the roots are what matter, but to this day I still spray the leaves as a courtesy to the plant. It works for me . . .
What hit me so hard tonight is that my son is 4 1/2 and has probably already started gathering memories that he will hold onto for life. He is at the age that I can reflect on and remember quite a few things from. It is a very intimidating thought. What will be important enough to him to hold onto for the next few decades? Will his memories be good ones? What have I done and what can I do to make moments special for him? My first real picture in my head from a moment in my life is right around the age of 2 1/2, so I know that he has been retaining permanent bits of information for awhile, but this still came as a surprise. Life goes by fast. I hope he remembers what he wants to remember. It is funny to think that years and years down the road he may be calling me with a question about the past, just like I just called my Mom to ask how old I was when we moved to Texas.